Winter Clothing - Go anywhere. Bring anything. Cold weather cycling is not about bravery or foolhardiness. It's about making simple, sensible apparel choices. Here are some of our staples. 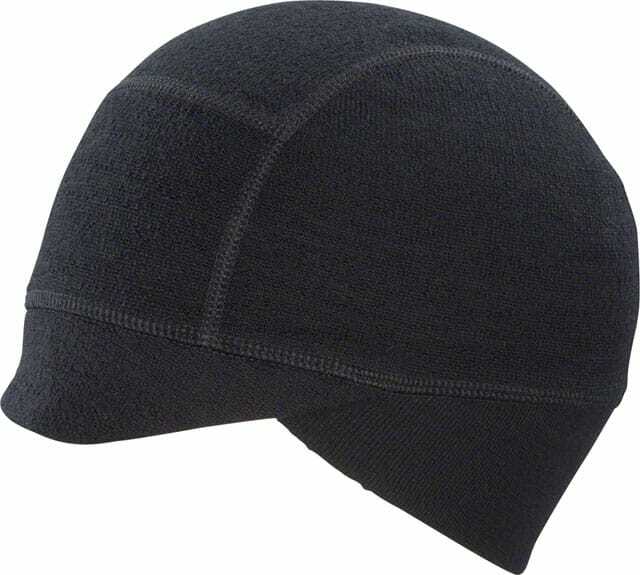 45NRTH's Greazy cap is your do-all winter cap. A semi-rigid bill keeps the low-hanging winter sun out of your eyes, while the double thickness wool ear flaps keep out the chill. Solid construction and solid materials. 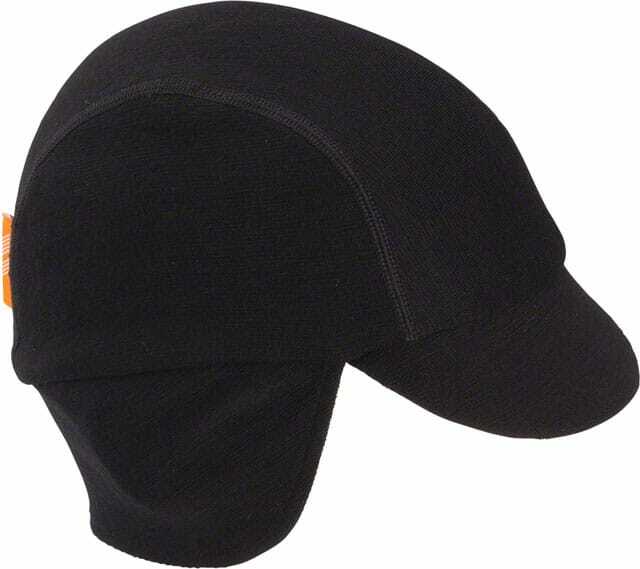 Ibex Bicicleta hat offers great head, ear, and neck coverage. It's nice and stretchy and warm, and like all Ibex stuff, made of top quality no-itch wool. 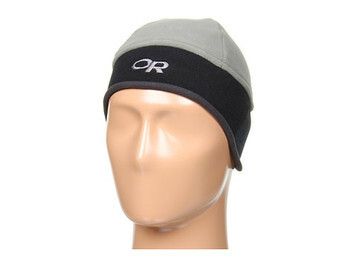 A great windproof fleece hat, the Windwarrior from Outdoor Research features trim styling that fits under most helmets. This is warm enough for single digit temps. Kozie Prery winter hat and neck warmers have been part of our shop since, well, before it was shop! Handmade in Chicago, oft from reclaimed fabrics, these hats have unbeatable style surpassed only by their performance. Mix and match, I say. Mix and match. It'll make you happy. Toasterfork balaclava from our friends at 45NRTH in MN. A solid, basic wool piece that will make the difference between not wanting to ride and wanting to. 45NRTH Lung Cookie. An ironic name, considering this heavy duty piece will surely prevent one from forming. 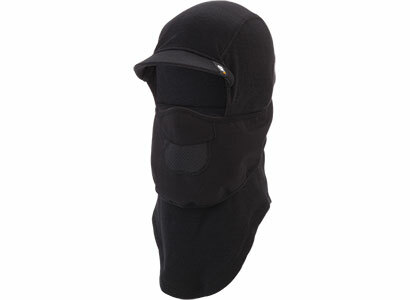 A layer of windproof fabric can be pulled up over your nose and mouth for extra protection against super cold air. Grab one, arctic warrior! 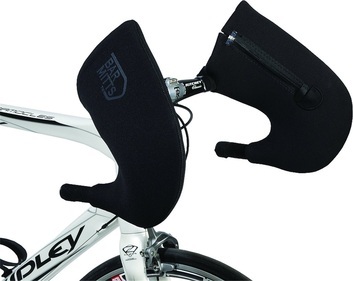 If your cold weather cycling jacket has no hood you need a helmet cover (assuming you wear a helmet). 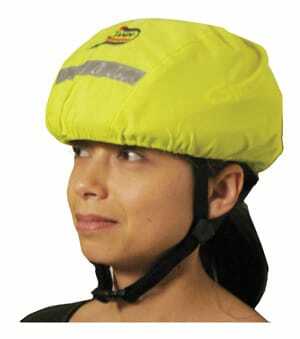 Waterproof and windproof, this thing makes all the difference between frozen helmet hair and supreme comfort. 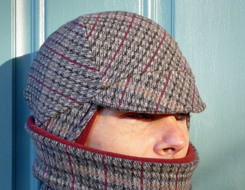 Just make sure you get yourself one of the hats or balaclavas above. Bar Mitts are perhaps the warmest solution for cold hands. 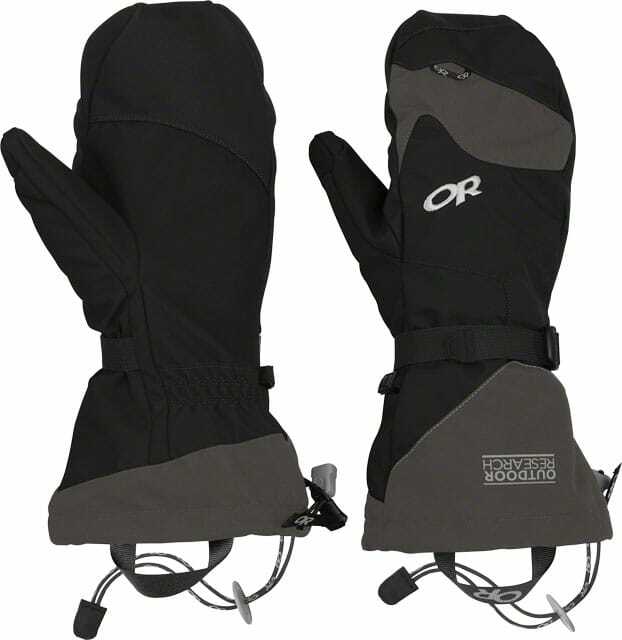 You can wear just a thin liner glove with these and manage the coldest conditions. Seriously! They come in configurations to fit all handlebar and lever styles. Hey, what do you get when you combine a Spanish-speaking 13 year old Jew and winter? Bar Mitts vaya! If you're thinking about switching handlebars for better control in winter, click here for discounted Winter Daily Specials. It's worth your while! This is the mitt of the apocalypse, and we ain't talking about Romney. 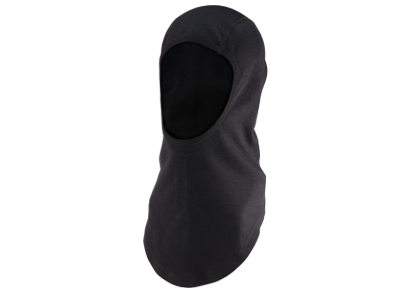 A super thick inner fleece liner with pull-back flaps guards against the coldest of the cold. The articulated outer shell keeps all the wind and frozen water winter can muster off your delicate little paws. Match all that with snow cinches and pull tabs and you have a glove for the end times. 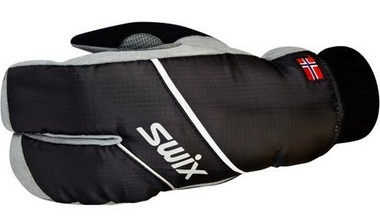 A bargain by any standard, the Swix Splitt Mitt gives you good protection as your fingers buddy up to provide extra warmth. 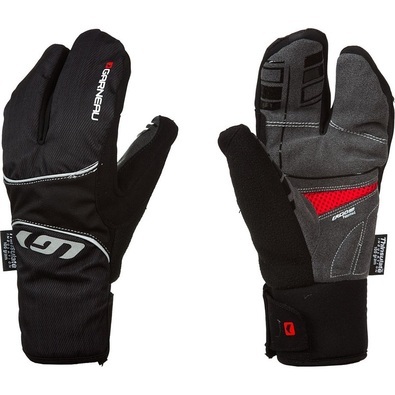 With good tactile feel these gloves are great for the athletic cyclist. The LG Super Shield adds the buddy system to its Shield lineup. Paired fingers in the lobster claw style adds warmth without sacrificing much dexterity. Throw a shell overmitt on top of this glove and you'll be good down to the negative digits.